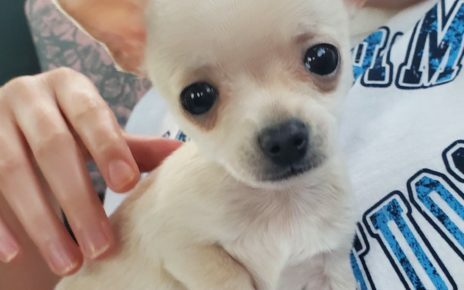 The grooming requirements for the Chihuahua are detailed as it is very important to keep them healthy and well taken care of. Whether you are taking care of their coat or their teeth, these dogs need a little extra attention because of their small size and delicate nature. Grooming your Chihuahua does take a little more grooming than the average dog, but are not as high maintenance as say, a Poodle. On a long haired Chihuahua, you need to keep the coat brushed or combed well to prevent matting. Since the dogs are low to the ground they tend to pick up dirt that can stay in their matted fur, and they are more susceptible to fleas and other critters. Their hair should be trimmed, especially around the rear end so that they do not soil their own fur. Also, the ruff around the neck should be trimmed short as it is very easy for them to get bits of food in it while eating. This does not pertain to show dogs who need to keep their long coat in tact. You should bathe your long haired Chihuahua at least once a month or more often if they play outside frequently. In between you could wipe down the fur with baby wipes to keep it smooth and fresh looking. Also in between baths you should brush them at least once a week. The smooth or short haired Chihuahua doesn’t need to be bathed quite as often but they do need to be brushed and wiped down periodically. As a side note, you need to be careful about getting water into the ears of a Chihuahua as they are prone to ear infections. Their feet should also be checked, and in particular between the pads of their paws where they can collect pebbles and dirt that can cause soreness and infection. While they are sitting on your lap at night it is a prime time to check for ear mites and sores around the face, and it is also a good time to check its eyes for any cloudiness or infection. They tend to get foreign bodies in their eyes often and while they do have a natural flow of “tears”, if they are overly drippy or it seems as if they are crying constantly they need to be looked at by a veterinarian. Grooming a Chihuahua should also include keeping the dogs nails trimmed at least every month. 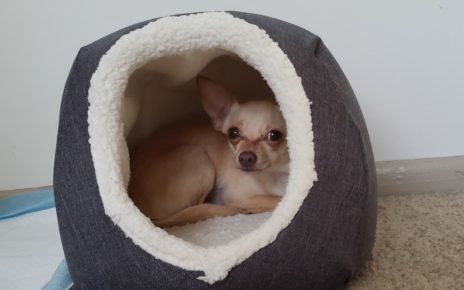 You may have to take them to a veterinarian or a professional groomer as some Chihuahua’s do not like having their feet handled for long enough to get the job done right. You must keep the nails short as they tend to get in the way of their walking ability. 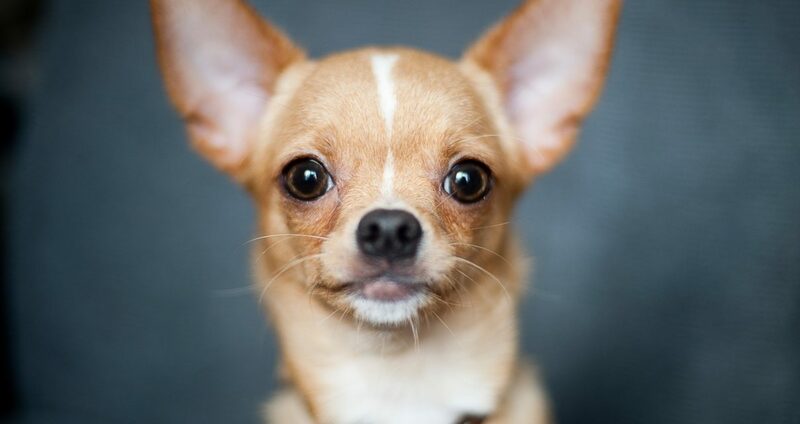 The teeth of a Chihuahua also must be kept clean because of the hindrance it can have on them. They have small mouths and with small teeth, food can get stuck and lead to a myriad of problems. They can also be misaligned or start to decay very early in a dog’s life. You should brush your dog’s teeth on a regular basis and bring the Chihuahua to the vet annually at least to check the teeth. Grooming shouldn’t take much time, and it can add a lot to the dog’s life. They are usually so loveable that it is easy to get them to allow you to groom them.